Chalktrail Scooter - simple scooting becomes street art! 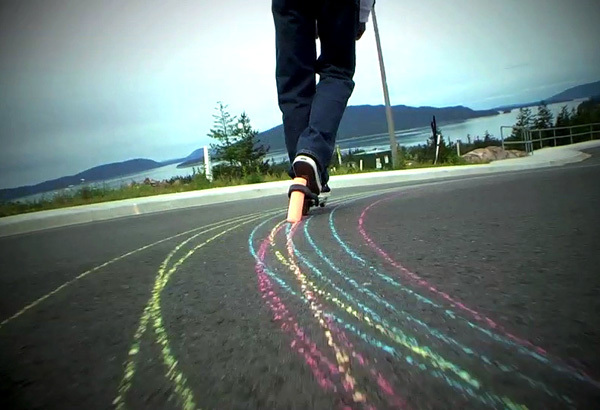 Chalktrail Scooter – simple scooting becomes street art! Just when you thought scooting couldn’t get any more fun than it already is – think again. 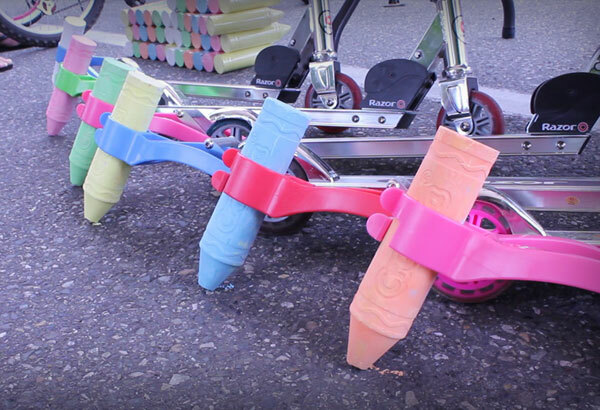 Fat Brain Toys take the humble act of riding a scooter up an artistic notch with the addition of Chalktrail Scooter – an attachment for your child’s ride on that leaves a speedy trail of coloured chalk behind as they scoot. Chalktrail Scooter fits standard sized scooters, including the popular Razor brand, by simply hooking on to the centre hub of the back wheel and is fastened easily with the twist of a couple of screws. The Chalktrail Scooter includes one piece of non-toxic, washable chalk that lasts a staggering 2.4 kilometres – if your little one manages to use all of that in one riding expedition, you’re just about guaranteed they’ll sleep well! Additional Chalktrail chalk is available for purchase separately and comes in a variety of splendid colours for maximum driveway artistry and creative healthy play. Chalktrail Scooter is priced US$12.95 and available from Fat Brain Toys. International delivery is available though expensive – perfect excuse to get friends in on the action for a group order.